Home › FAQ › What is the SAT? It’s important that juniors and seniors in high school understand what the SAT is, so that they are able to do well on the exam and so that they are prepared to apply to colleges. 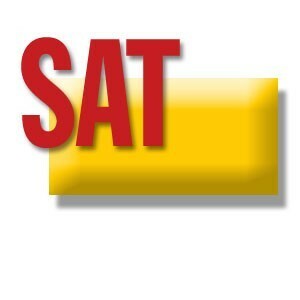 The SAT is an important part of an application to college. Most colleges and universities in the United States require applicants to take the SAT exam. An applicant’s score on this exam is an important determinant of whether or not a college will accept that applicant, according to the Princeton Review. SAT stands for Scholastic Aptitude Test. This is a test that was developed by the College Board to test the verbal, writing, and mathematical abilities of those wishing to continue their studies on at the university level. While the SAT can in some cases be an important factor as an individual applies for higher education studies, other factors such as GPA and letters of recommendation are also very important. There are currently three sections to the SAT: the math section, the critical reading section, and the writing section. On each section of the SAT, the highest possible score is an 800. The lowest possible score is a 200. A perfect score on the SAT is a 2400, according to The College Board. The test is times, and students have only three hours and 45 minutes to complete all three sections. The critical reading section itself is composed of three separate subsections. These subsections include a variety of different types of questions, including sentence completion questions and questions on short reading passages. The majority of the critical reading section of the test is made up of questions regarding reading passages. These questions test a student’s reading comprehension. Other aspects of the critical reading section also test a student’s vocabulary and ability to understand excerpts on subjects ranging from the physical sciences to the humanities. The SAT’s mathematics section is also sometimes referred to as the quantitative section. This section is made up of multiple choice questions that test a student’s understanding of basic algebra, geometry, graphing, calculating, and more. Students are not permitted to use calculators while completing the mathematics section of the SAT. However, calculator use is limited to scientific, graphing, four-function, or CAS calculators. The writing section of the SAT includes both multiple choice questions and an essay portion. Multiple choice questions on this part of the test will test a student’s ability to improve sentences and identify errors in grammar or syntax. The essay portion of the test will require students to respond to a prompt. They may have to expand upon an idea or defend a viewpoint. Students needing to take the SAT may take the exam at one of the seven different test-taking session offered throughout the year. The test is usually offered once in each of the following months: October, November, December, January, March , May, or June. Alternatively, the test is sometimes offered in April instead of March. Students must pay $51 to take the test. International students have to pay $78, or $99 if they are from either India or Pakistan. Knowing what the SAT is, is important to preparing for the exam, as students need to know what to expect to enjoy the best scores possible.